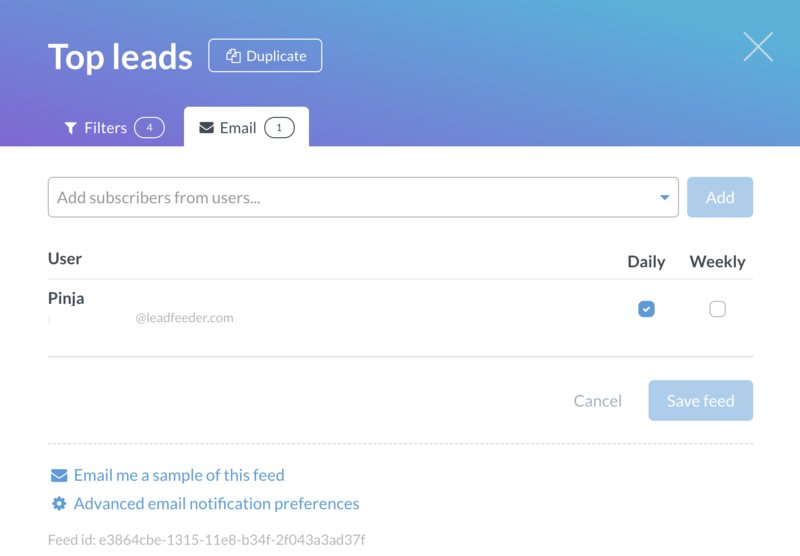 You can manage your personal email notifications for each of your feeds from the dashboard of the Leadfeeder app. Admins can alter the notification settings of other users from here too. This is how it looks for a normal user. STEP 1: Choose which feed you want to manage notifications for and click on the gear icon and then choose edit from the dropdown menu. STEP 2: Click on the Email tab. STEP 3: A view will pop up similar to the one below. 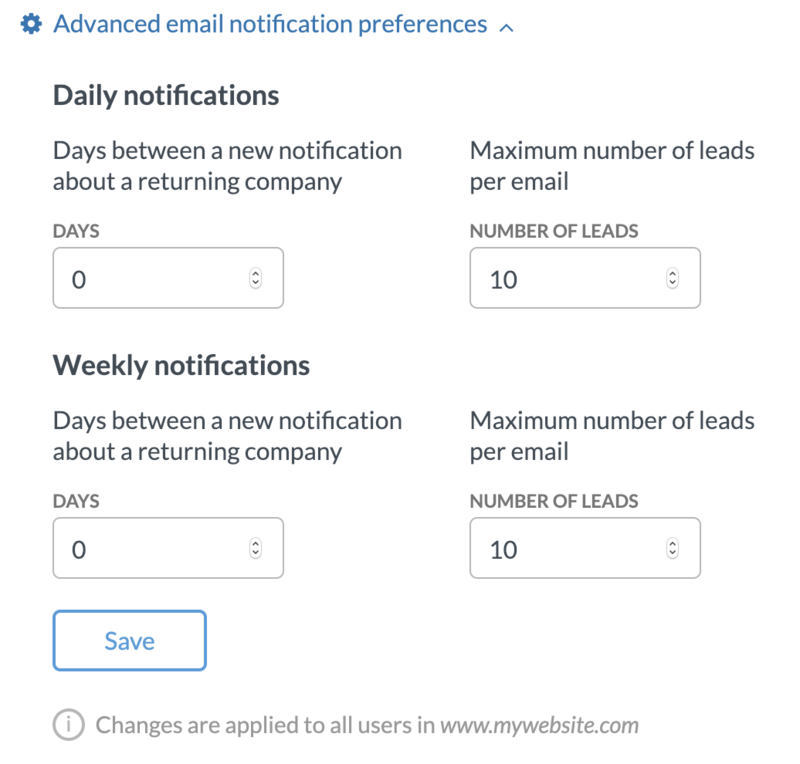 Choose between daily, weekly or uncheck to receive no emails at all from this particular feed. NOTE: If you are an admin you will be able to alter other users preferences on the Settings.